Another framework that can be very quickly stood up on Photon Controller is Mesos. Apache Mesos is yet another cluster framework for container orchestration and availability (yes, there are many). The steps for deploying the Photon Controller Installer, deploying Photon Controller and creating the tenants, resource tickets and projects are identical to those outlines in steps 1,2 and 3 of my Docker SWARM on Photon Controller post. There is no point in repeating all of the steps here. I will highlight some of the other steps involved in deploying Mesos on Photon Controller, but I don’t really want to focus on those as they are a repeat of what is in the SWARM article, though slightly different. Instead, I want to show you what you can do after Mesos is deployed – a sort of “what do I do now that I have Mesos deployed?” approach. William Lam also showed you how to get started with Mesos and Photon Controller here, but did not have the resources to show Mesos in action. 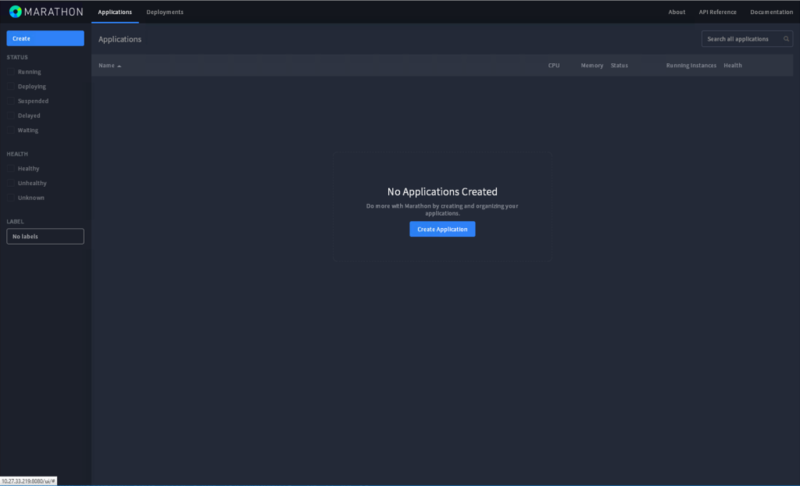 Since I have the resources to show you how to run apps/containers via Mesos, that’s what I will demonstrate in this post. To begin, lets highlight some of the differences between deploying Docker Swarm versus Apache Mesos on Photon Controller. We obviously need a Mesos image for this deployment. We did this with Swarm previously. This is how to create one for Mesos (same syntax, but different image file – which can be located here). As highlighted in the Swarm post, some arguments need an identifier (-n, name and -i, type) but the path to the image does not. Also, monitor the upload of the image to the image datastore and make sure it completes before proceeding to the next step. The -i EAGER option means that it will be uploaded immediately, rather than the ON_DEMAND option, which means it is uploaded when it is first required. The first id is that of the deployment. The second is that of the MESOS image uploaded previously. In this example I have requested that 3 slaves get created. There are a few commands that can be run to check the state of the cluster. The second one below provides the IP address of the Mesos master(s) as well as the IP address of the Marathon node. We’ll talk more about the Marathon node shortly. This next command will provide the IP addresses if the constituent components. You will notice that there are 3 masters. This is for Mesos high availability. One master is elected the leader. If it fails, another takes over. The zookeeper node is responsible for coordinating the election of the master leader, and informing the other nodes about who the leader is. You can query the containers running in Mesos by logging into each node, and running a “docker ps -a” command. There are now two ways that we can manage and monitor the Mesos cluster. The first is via the Marathon interface (http://<marathon_ip>:8080). The second is via the leading Master interface (http://<master_ip>:5050). Note that you can connect to any of the master nodes, and you will be automatically directed to the leader. And to close this example, we can log onto one of the slaves nodes, connect to the slave container, and examine the “/tmp/output” file that we are updating via the command. 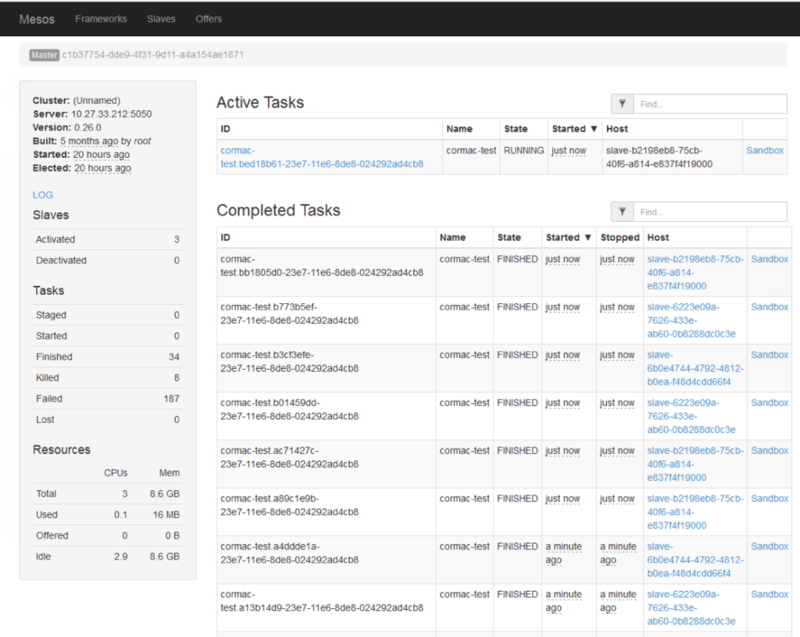 Mesos running on Photon Controller - w00t! Of course, this is only scratching the surface of what one can do with Mesos. 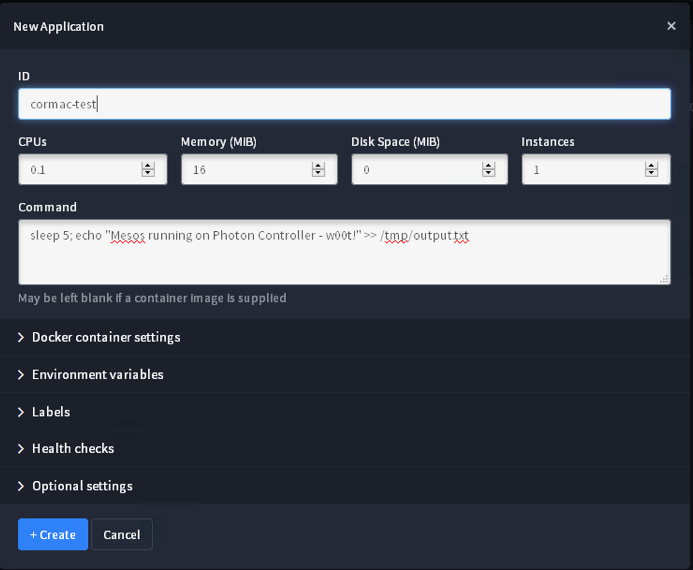 However the idea once again is to show how the underlying resources of a number of ESXi hosts can very quickly and easily be consumed using Photon Controller, and how quickly a Mesos cluster can be stood up.